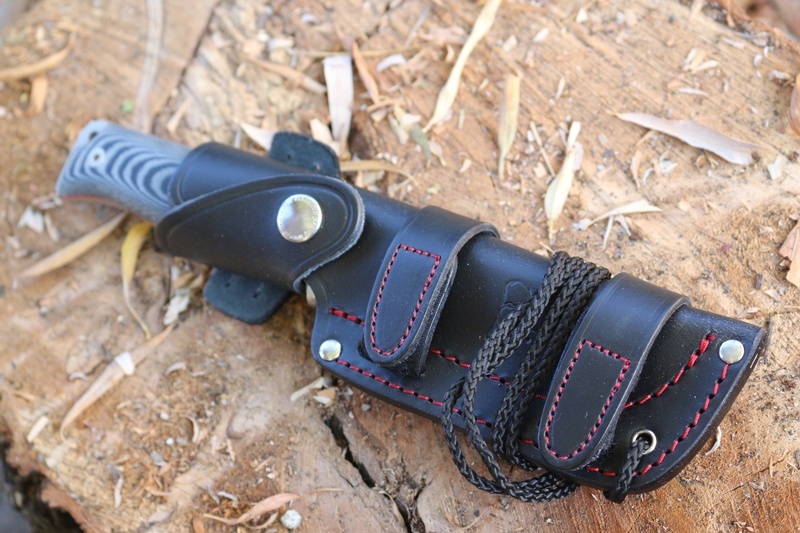 The removeable slabs are black canvas micrta with red liners and the tang is extended to provide a lanyard hole, stainless bolsters as well make for a very sturdy outdoor knife. 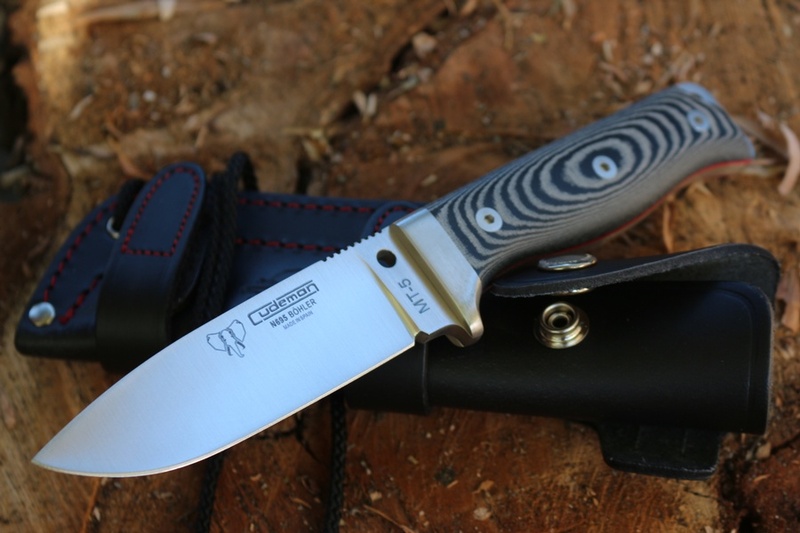 Purchase through PayPal by using the "Add To Cart" button above or use the form below to order the Cudeman Bushcraft MT5 knife Micarta . 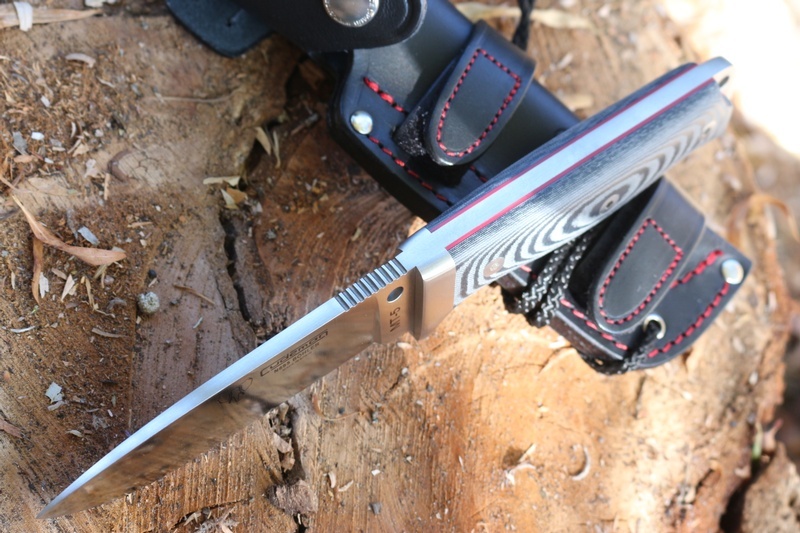 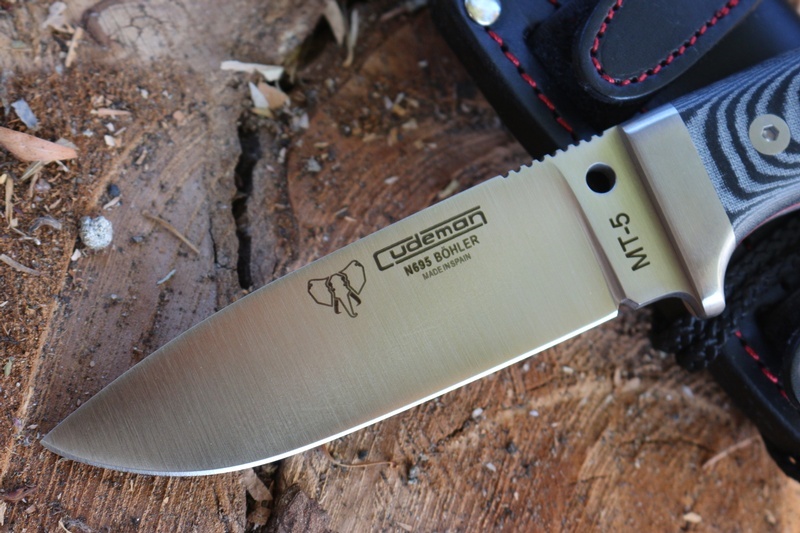 Feel free to contact us if you have any questions about the Cudeman Bushcraft MT5 knife Micarta .